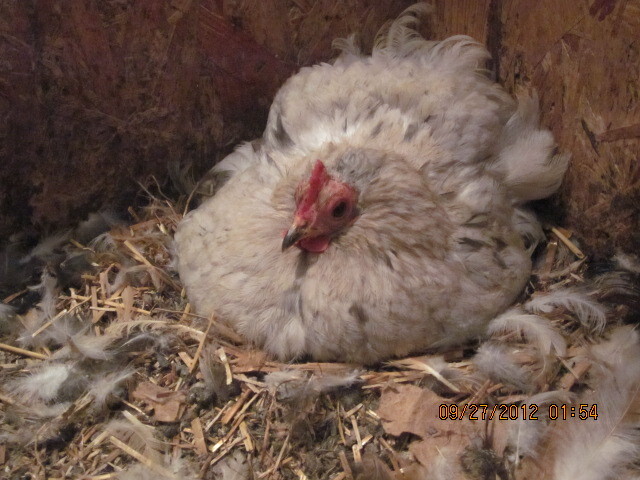 A broody hen goes into a Zen-like trance, and will barely move from her clutch of eggs, except perhaps once or twice a day to relieve herself and to grab a quick bite or drink. 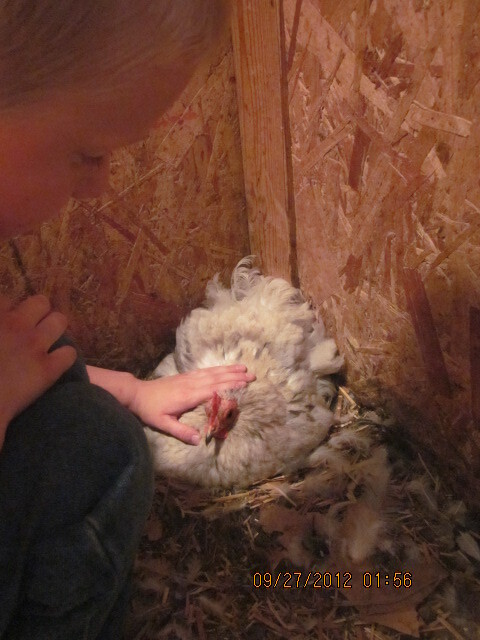 Not every hen that goes broody succeeds in her task to raise a new family. We’ve had a few notable exceptions at our place. There was the hen who sat on two eggs until they hatched, and then literally led them to the chicken yard and abandoned them. 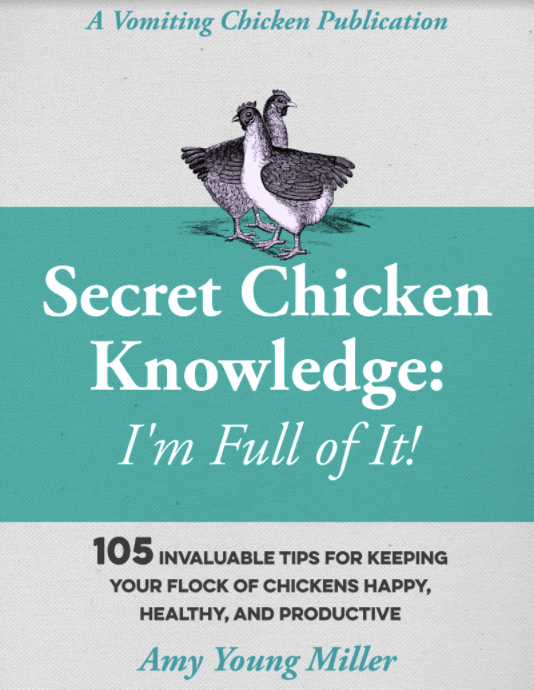 I didn’t even know that she was sitting–I didn’t even know which hen it was! I had to hustle and set up a heat lamp and a box for those two, and we raised them to adulthood. Also there was Ginger (more about her later! ), an orangey hen with psycho tendencies who sat on eggs until they hatched, and then savagely attacked the babies as they emerged from their eggs. I’ll write the entire story later, because it’s a good one and includes (as so many great stories do!) my son Andrew, a dangerous thunderstorm, and an emergency run to the store for an incubator. And my birthday, I think. I’ve had several hens who have settled down on eggs for a week or two, have gotten bored, and then decided that they were done, and have given up on the whole project. 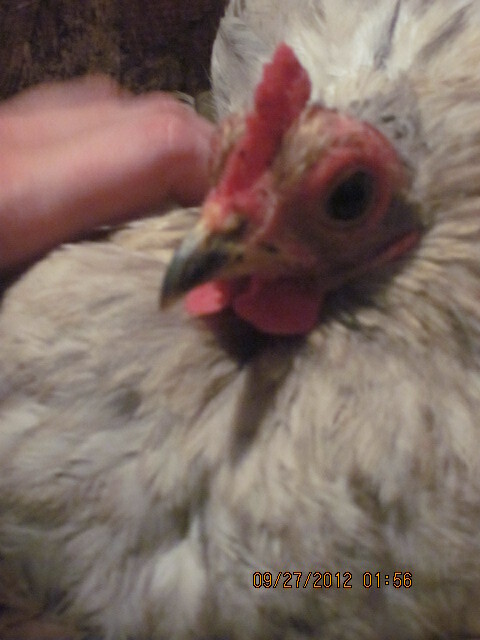 Usually I haven’t found out about their abandonment until the eggs have chilled and the growing chicks inside have died. I had a feeling that our Babes would be an excellent sitter, and she has been. Little Mack and I have carefully checked on her every day, providing her with fresh water, food, and treats from the garden. We just about can’t stand the waiting, though. We are not a patient people. Little Mack gently assures Babes that she’s doing a wonderful job, and that she won’t have to wait much longer until she’s a bonafide mama! I had been afraid that this might happen at some point in the process. The other chickens jump on the door that separates the main part of the coop with the nursery, and sometimes the door will jiggle open. Since Babes has food in the nursery, and the other chickens have to wait until morning for their breakfast, they crowded in and ate all her food. That wasn’t the worst part, though. When we rushed into the nursery to shoo the big chickens out, they all crowded into the corner, to get away from us, right smack onto of little Babes. 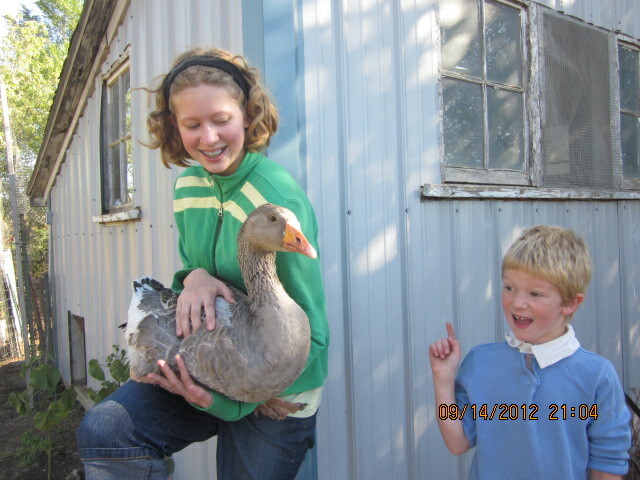 Here’s Amalia holding Lucy, our goose. You can see that she’s quite a large bird. Lucy, I mean. I don’t know what Mally is doing. So now we’ve just got two days to wait. If Babes has done her job correctly, the eggs should start hatching Saturday night or Sunday morning, and by Monday, Babes should have a new little family to care for! The face of one dedicated little mama. Oh Babes! 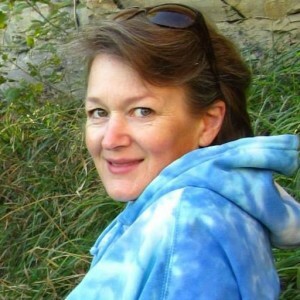 I love of the thought of her saying, “These Things Happen.” Or—(my personal Midwestern favorite) “It Is What It Is”.